Having won the title of World's Leading Airline by the World Travel Awards, five years in a row, Etihad Airways certainly has built up an incredible reputation for itself in its short life. There are many Etihad Airways reviews available on the web but here is ours. 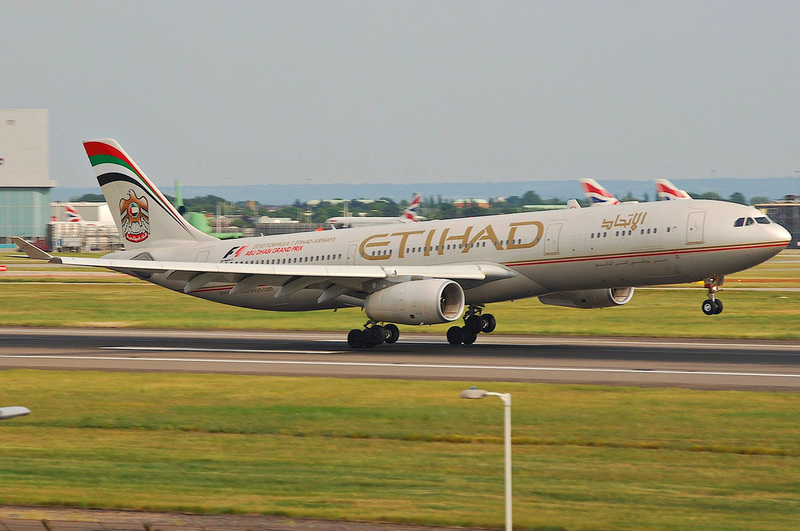 Despite having such a vast network of destinations, Etihad Airways is relatively young in the grand scheme of things, having only started operations in 2003. But that hasn't stopped them building up a network of codeshare agreements that allow them to compete with the likes of Emirates. Etihad's Diamond First Class offers the ultimate in long haul luxury travel. An oppulently designed cabin, private suite and exquisite dining options all lead to one of the best flights you'll have. Pearl Business Class on Etihad Airways is a unique opportunity to fly long-haul with a lie-flat seat. 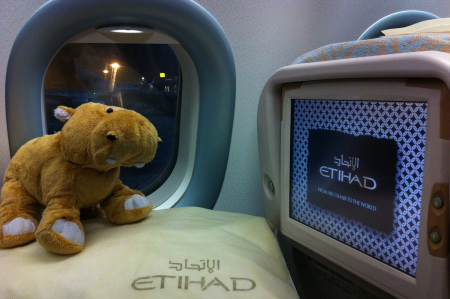 Etihad's Coral Economy Class is of an excellent standard, particularly when compared to other Middle Eastern airlines. An excellent choice of options in the in-flight entertainment system, despite the large number of adverts which can get annoying, including the latest Hollywood movies on demand, hundreds of music albums and games too.